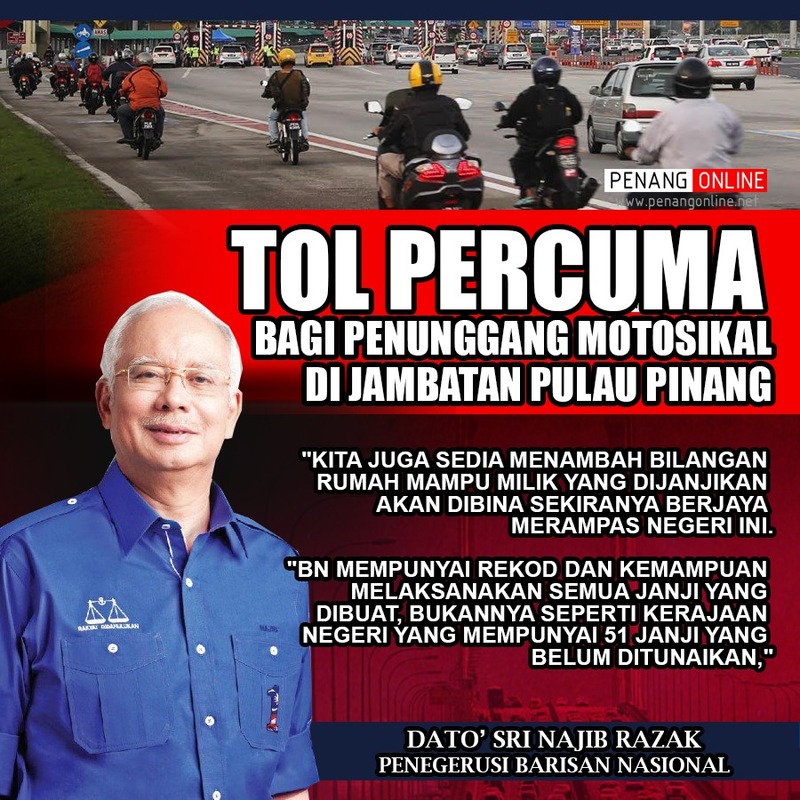 Bijak2.. simple manifesto but very usefull to all penang..
A very good manifesto offer to all Penangites especially to the BRIM receiver that use motorcycle as their transport every day. Good news also to the industrial sector at the island that give a tol subsidies to their employee who use motorcycle to work from mainland. But first they all must make sure BN comes to power again and form the Penang goverment as well. I doubt it bn wil win.. since race sentimen is strongly built by dap on tht island.. its not about 1malaysia its about 1 race.. so sad pènangites..
Hope they realized in time before its too late for penang future.. I strongly agree. 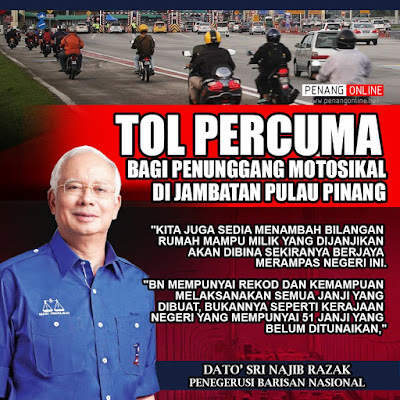 It is very difficult for BN to win back Penang.